(Chris Detrick | Tribune file photo) Utah Gov. Gary R. Herbert at the Sufco Mine on Friday, June 3, 2011. In confidential filings submitted to the Bureau of Land Management, Bowie Resource Partners, operator of the Sufco mine, has asked for a reduction in royalties it pays on its coal, but federal authorities are not releasing information on how much the reduction would be or why the request is being made. Utah’s largest coal producer is seeking a tax royalty reduction potentially worth millions of dollars on what it owes for federal coal leases mined at the Sufco Mine outside Salina, yet virtually no information is publicly available regarding the request. In confidential filings submitted to the Bureau of Land Management, Bowie Resource Partners has asked for a reduction that leaseholders are allowed to seek when they run into unforeseen difficulties extracting coal. The federal agency is poised to approve the reduction, but citing the coal company’s need to protect trade secrets, BLM officials won’t divulge how large a royalty cut Bowie is seeking, how much coal the relief would cover, or what mining complications Bowie is encountering. Bowie’s request only became public after the Utah Division of Oil, Gas and Mining (DOGM) signed off on the reduction request. In a Dec. 5 letter to the BLM, DOGM director John Baza claimed that the coal won’t be “economically recoverable” without relief from the usual 8 percent royalty. “I find the request to be reasonable in light of the geologic, quality and engineering challenges to be encountered in mining the panel,” Baza wrote. What those challenges are and how much revenue the state would forgo will remain a mystery until after the BLM issues a final decision, which is due any day. Sufco general manager John Byars did not respond to an inquiry from The Salt Lake Tribune seeking comment. Underground mines tapping coal on federal lands pay an 8 percent royalty on the value of their production, minus allowances for transportation and processing costs. At today’s depressed coal prices, it amounts to about $2.80 per ton, which is shared with the state. 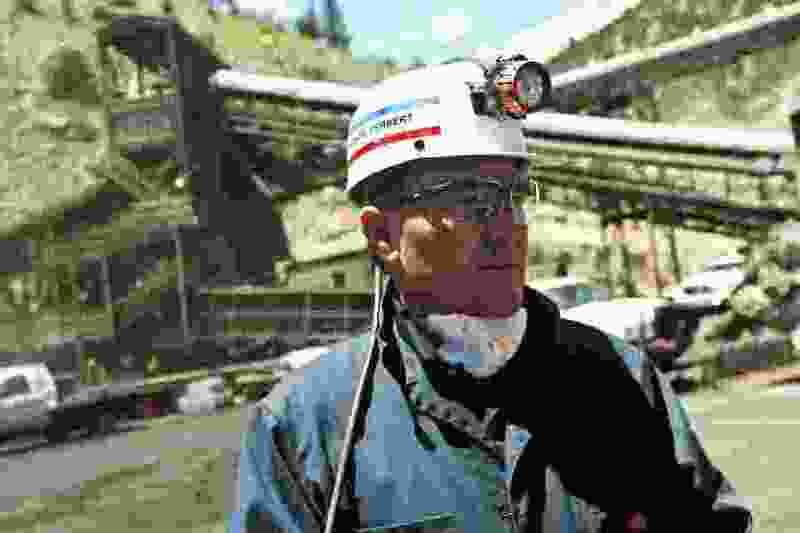 Utah’s most productive coal mine, Sufco yields more than 5 million tons a year, although its production is trending down of late as the power-generating industry switches to cleaner energy sources. Royalty reductions are not unusual, but nor are they routine. Requests require extensive documentation to demonstrate a need for relief. They often take a couple of years to process and are applied retroactively as a credit on future royalty obligations. Companies must certify each year that the mining conditions justifying the reduction still persist. The standard reduced rate is 5 percent. Bowie’s two other Utah mines, Dugout and Skyline, have also sought reductions, as have the now-shuttered Horizon, West Ridge and Deer Creek mines over the past 20 years. Utah’s coal mines produced 14.5 million tons in 2015, valued at $508 million, with the vast majority, or about 12.8 million tons, coming from federal leases, according to the Utah Geological Survey. At the regular 8 percent royalty, the production would net the government $36 million, half of which the state distributes to rural communities through grants and loans administered by the state Community Impact Board. Critics say royalty cuts offer a privileged industry another chance to filch from taxpayers without public scrutiny and at a steep cost to local governments. But state and federal officials contend secrecy is warranted because a company’s competitors could exploit information found in their royalty reduction applications. The reductions should not be considered a subsidy, according to Dana Dean, DOGM’s associate director for mining, who processed the Sufco request. Officials also say reductions actually increase revenues to the state because they ensure coal is mined that might otherwise remain in the ground. But maybe, critics complain, that coal should stay if market conditions can’t justify mining it. According to a 2015 study by the nonpartisan Taxpayers for Common Sense, 35 of the 80 coal mines on federal leases enjoyed reduced royalties over the past 25 years. The report complained that the revenue lost as a result cannot be calculated because the government does not disclose the volumes of coal affected by reductions. Headwaters Economics, a nonpartisan research group, estimated that royalty relief lowered payments by $294 million on leases sold between 1990 and 2013. The revenue loss would be much higher when leases sold before 1990 are taken into account, perhaps as much as $37 million a year. Anti-coal activists wonder if coal companies ever seek royalty hikes when they encounter coal that is higher-quality or easier to mine than expected. That never happens, but operators are required to pay a royalty half again larger, or 12.5 percent, for coal that is surface mined. No federal coal is mined in that manner in Utah, although the owners of Coal Hollow, a strip mine outside Alton, are expected to soon secure a large federal lease near Bryce Canyon National Park. The state of Utah’s Sufco letter includes specific lease numbers identifying Sufco’s Quitchupah and Greens Hollow leases, which total more than 100 million tons of coal. Greens Hollow is a recently acquired federal lease Bowie expects to begin mining in 2019. According to Dean, the Sufco request applies to a single longwall panel and does not involve Greens Hollow. According to records on file with Utah DOGM, PacifiCorp won a 5 percent royalty on 1.6 million tons at its Deer Creek mine where the coal was high in sulfur and ash. In the late 1990s, Skyline saw its royalty drop to 2 percent on 4.6 million and to 5 percent on 7 million tons of previously mined coal after the then-owner projected it would lose $24 million over two years. West Ridge was Utah’s biggest winner of royalty relief, thanks to the high sulfur content of its coal, which filled the mine with hydrogen sulfide gas and increased its processing costs.